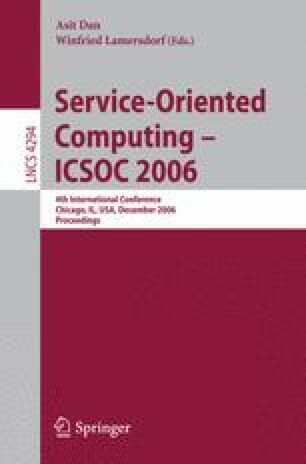 Vendor strategies to standardize grid computing as the IT backbone for service-oriented architectures have created business opportunities to offer grid as a utility service for compute and data–intensive applications. With this shift in focus, there is an emerging need to incorporate agreements that represent the QoS expectations (e.g. response time) of customer applications and the prices they are willing to pay. We consider a utility model where each grid application (job) is associated with a function, that captures the revenue accrued by the provider on servicing it within a specified deadline. The function also specifies the penalty incurred on failing to meet the deadline. Scheduled execution of jobs on appropriate sites, along with timely transfer of data closer to compute sites, collectively work towards meeting these deadlines. To this end, we present DECO, a grid meta-scheduler that tightly integrates the compute and data transfer times of each job. A unique feature of DECO is that it enables differentiated QoS – by assigning profitable jobs to more powerful sites and transferring the datasets associated with them at a higher priority. Further, it employs replication of popular datasets to save on transfer times. Experimental studies demonstrate that DECO earns significantly better revenue for the grid provider, when compared to alternative scheduling methodologies.